Eeek! I just looked at the calendar – and shorts and t-shirt season is just around the corner! It’s been a long, cold winter here in New England (and still – a chilly spring!) and I’ve been blissfully hibernating under warm, cozy sweaters and long pants for months! But – the time is NOW to start making some better food choices, so those cute warm weather outfits I’m just starting to pull from the back of my closet are sure to look great! Eating more vegetables is one of the best ways that I know to make sure I’m eating a balanced diet. 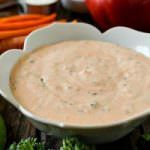 And our super easy and flavorful Thai Vegetable Dip is one of our favorites to serve alongside a platter full of fresh, cut vegetables for us to munch on. 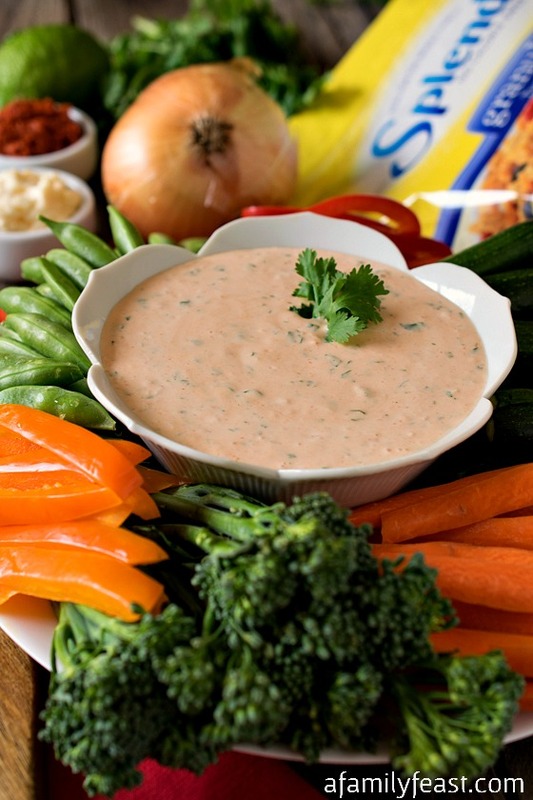 This Thai Vegetable Dip is a real crowd-pleaser – and both kids and adults love it! 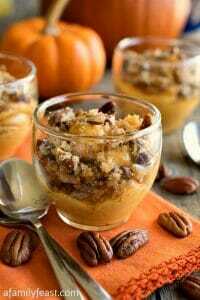 It’s cool and creamy, as well as spicy and sweet! The fantastic, spicy flavor comes from the addition of Thai red curry paste, onion, cilantro and fresh lime juice – and we’ve swapped in SPLENDA® No Calorie Sweetener, Granulated in place of sugar to add some sweetness to this dip without adding calories! SPLENDA® Sweeteners are a great option when you’re looking for ways to add sweetness to a recipe but want less added sugar. 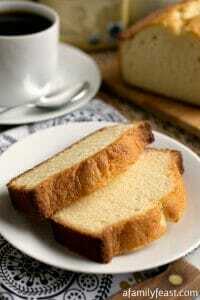 It offers the same sweetness of sugar, but without all the calories. 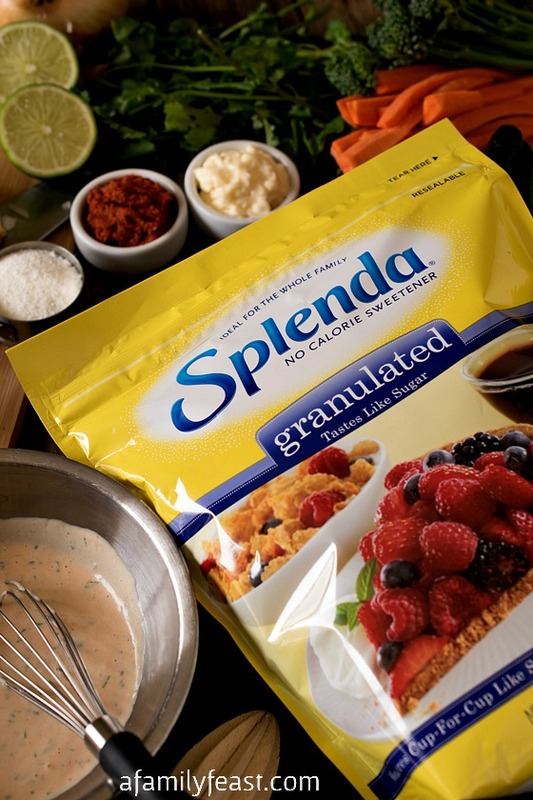 SPLENDA® Sweeteners are versatile and they can be used in baking, cooking, and beverage mixing. Note: Thai Red Chili Paste called for in this recipe uses Thai chilies – but the flavor is not overly spicy. Taste test a little first if you have never tried it and if you think it is too spicy for your palate, cut back a bit and replace that amount with ketchup. 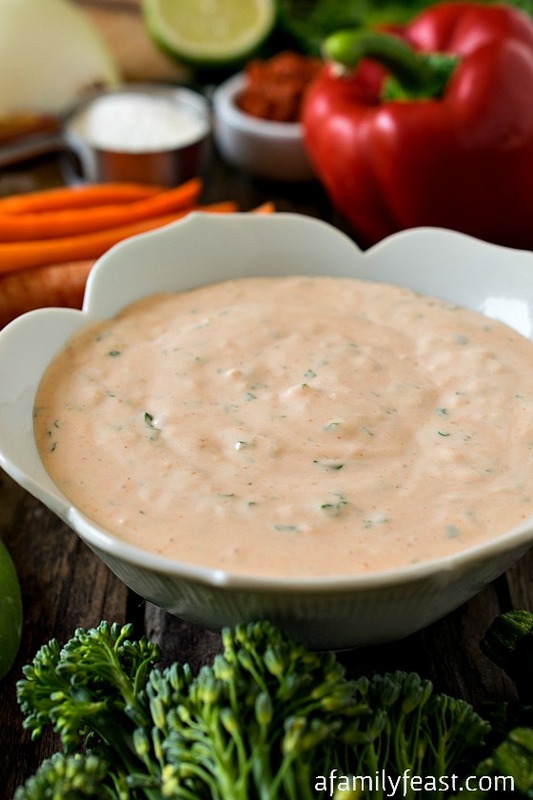 This dip is also great with baked sweet potato fries. I think my brand of red curry paste was exceptionally sweet and not spicy at all, so I had to try to remedy that. I added cayenne & paprika for kick and 1T of peanut butter. Worked like a charm to cut down on the sweetness! 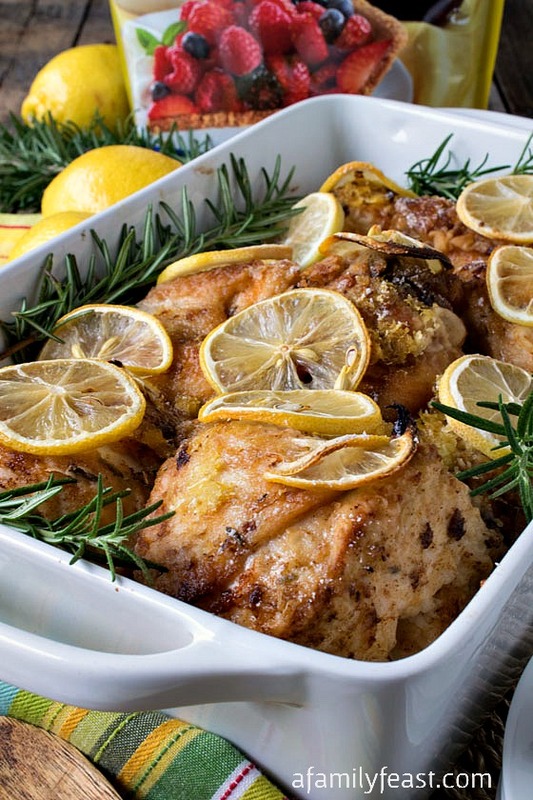 We’re glad you were able to make some adjustments to the recipe to make it work Jessica! I am loving this dip. We are huge fans of Thai food in my family. Plus I love the spicy and sweetness. Thanks Christie! It’s a great flavor combination for sure! Using curry paste in a dip is such a fun idea – I bet that it tastes amazing on all sorts of vegetables. I am so ready for the warm weather! This dip looks so good! I bet this tastes amazing. I love red curry paste – and the idea of dipping veggies into this makes me really happy! I definitely need to switch over to veggies and lighter fare. I think the cold-cold has finally left for the season. 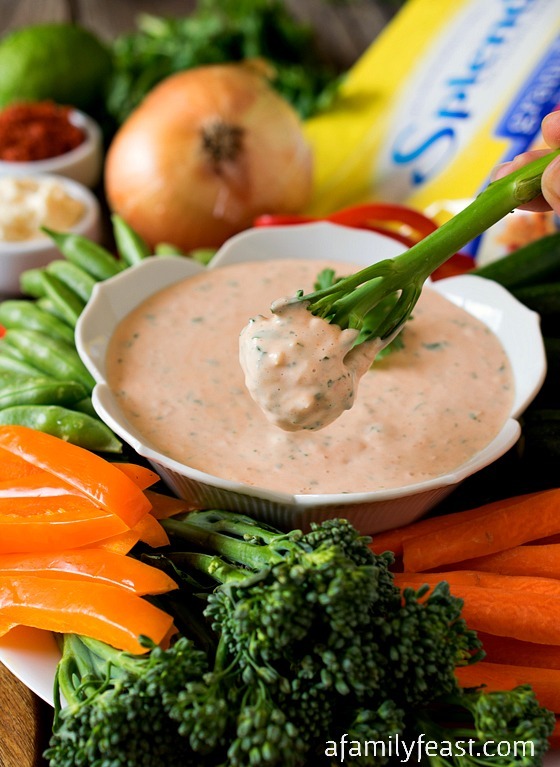 Bring on this beautiful dip – makes the veggies even better. Yum! Thai curry paste is one of those magical ingredients that makes anything tastes good. This dip sounds addictive! I’m always making dips for the kids and I since they like to dip everything and pretty much everything into dips! I love that you added some curry paste!! We all enjoy Thai food and flavors. I like this dip idea!! It’s so creamy, flavorful and wonderful!! I wouldn’t have thought to use Splenda in a dip. This is so smart and I bet this recipe is great with vegetables. What an incredible recipe! Love this! I love Thai food so I know I’d love this dip! 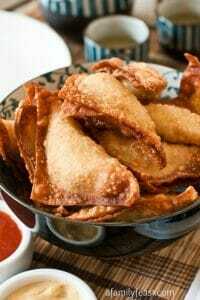 Thai food is my husbands favorite, unfortunately, I’m not very gifted in this area. Thanks for the inspiration, I will have to give it a whirl. You are right, been so cold in the Northeast!!!! Just got back from a warmer climate and now at home, it’s actually peaking 70 today! Unreal. What a fabulous recipe! Great way to use Splenda!